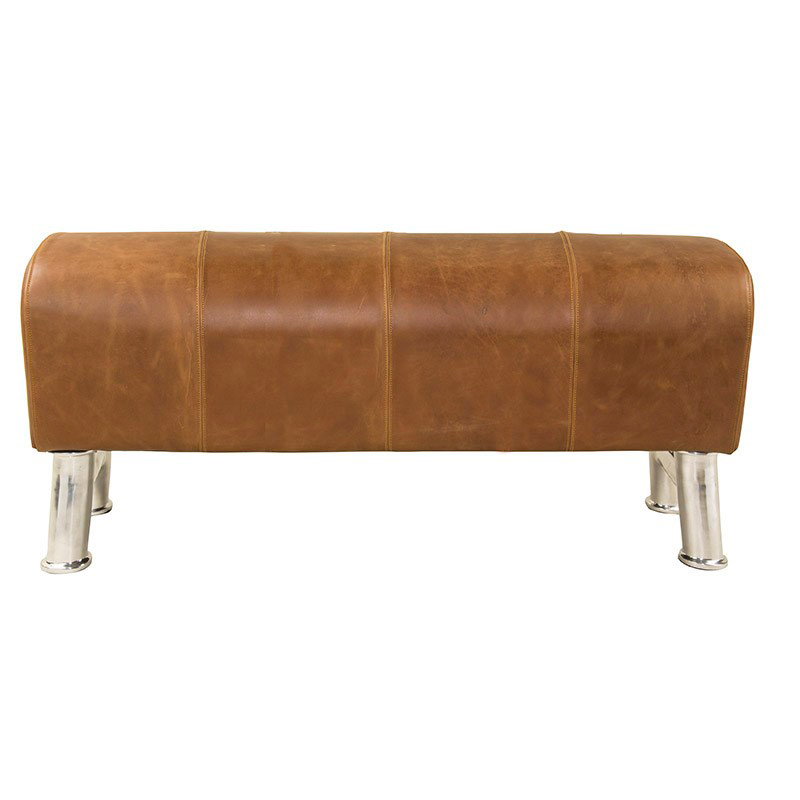 Traditionally used by mounted warriors to train for jumping horseback, this Small Pommel Bench is sure to be a welcome addition to your living space. Crafted from stylish brown leather, this is a fun version of a gymnast’s pommel horse without the pommels and is equipped with four custom-made nickel-plated legs. Based on a gymnast’s pommel horse. Four sturdy aluminium legs plated in nickel. Please Note: Due to the size and weight of this piece, it is available in-store only. Dimensions: Approx. 110cm (l) x 49.5cm (h) x 36cm (w).